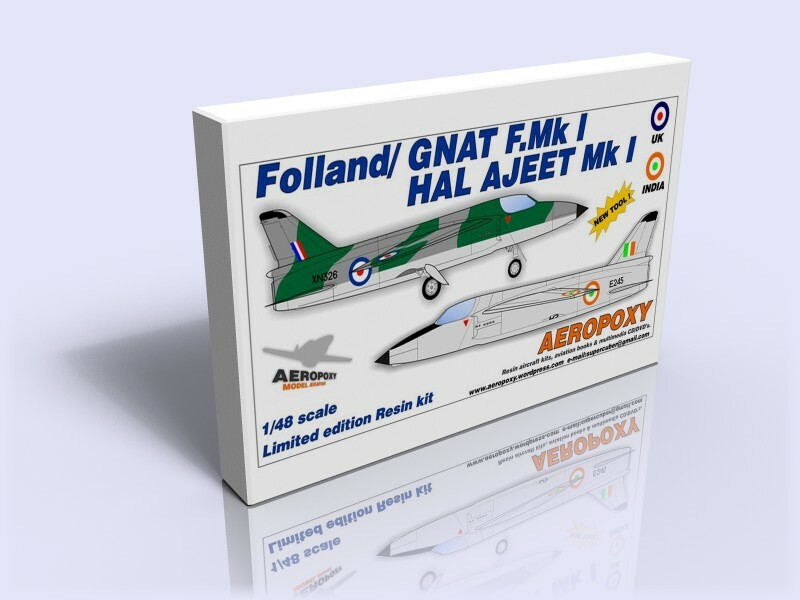 Folland Gnat/HAL AJEET fighter , comes with IAF and RAF/Ministry of supply markings ,Each kit contains resin parts, vacuformed canopy (2x), canopy cutting plug, canopy die cut self adhesive frame (2x), decals, printed instructions and archive CD rom with Gnat/AJEET photos, drawings, and modelling details. 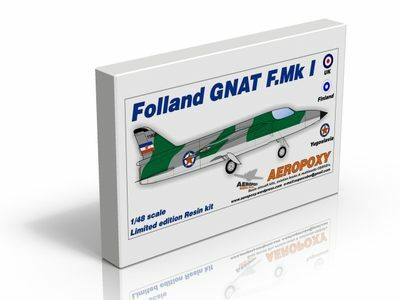 Folland Gnat fighter , comes with Yugoslav AF markings , custom laser printed decals and airbrushing masks. 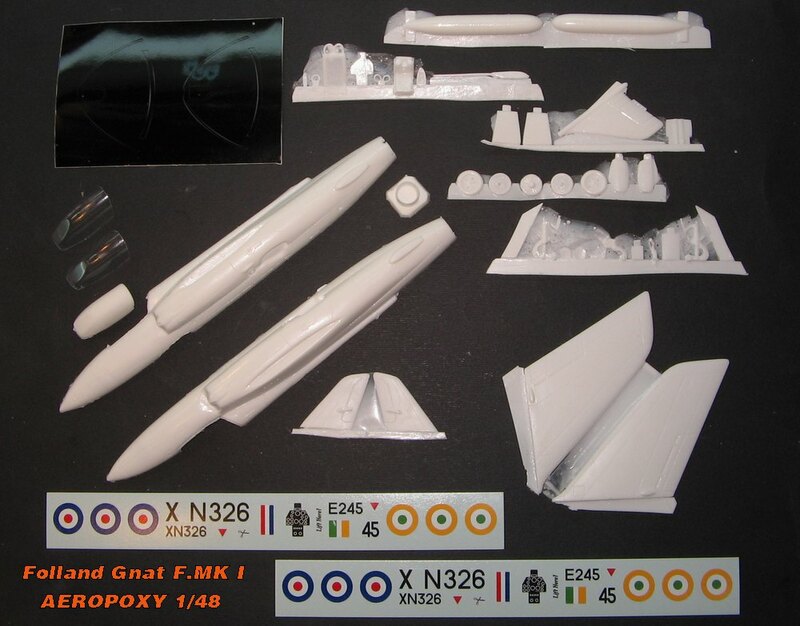 Each kit contains resin parts, vacuformed canopy (2x), canopy cutting plug, decals, printed instructions and archive CD rom with Gnat photos, drawings, and modelling details.